Hip Hop History tracks the evolution of this genre from the 1920’s with Snake Hips & the Cotton Club to the 40's with Tom the Great to the 60's & 70's Clive Cambell & James Brown to the formation of the Zulu Nation our playlists go on and on. So, kiss the past hello. 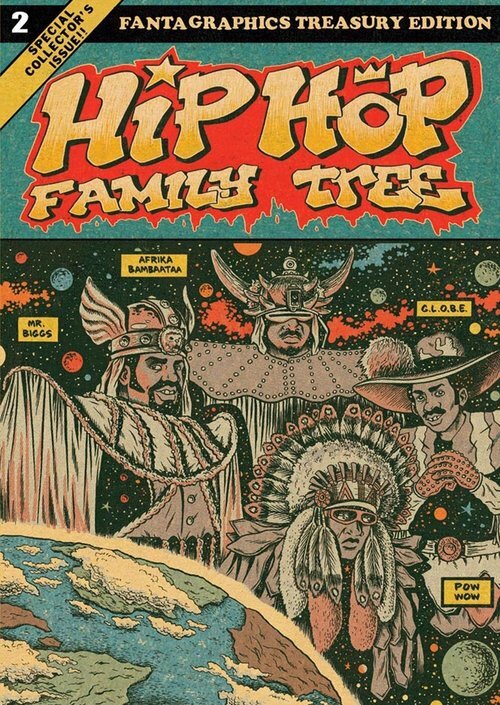 If you start in the past and work all the way to the present, the history of hip-hop spreads out into the cosmos in every direction. To get your body moving we'll play music that dates back to the 1920s when the earliest form of hip-hop dance was invented. We'll shake to the Jamaican dancehall toasting eras of the 50's and 60's. We'll pop and lock with the Electric Bugaloo. We'll chill and revolt with the Last Poets, Muhammad Ali and Gil Scott-Heron. We'll work all the way forward to modern day poets like Rakim, Big Daddy Kane, The Notorious B.I.G. and Tupac. Let's rev up the time machine, dive in and explore the most comprehensive timeline of hip-hop history.